Our Projects have been featured in Various Magazines and TV Programs. Many Interviews with Mr.Ansari, reflect his philosaophy of design and his deep understanding of various tenets of Architecture and Interiors. 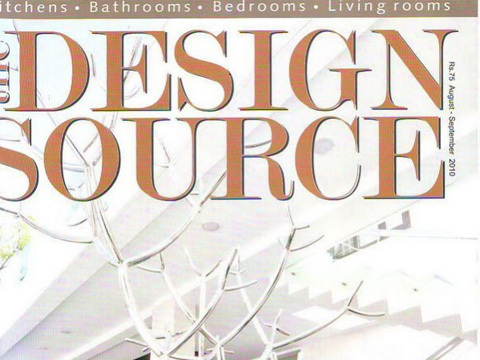 Design Source, Interior design magazine - Edition: September 2010, Features our 'House of Curves' in Thopputhurai, as an important feature in their Magazine tilted as ' A Native holiday Home'. Read it Here..
Makkal TV Program Series which specialises on 'Dream Homes in Chennai' selcets our 'House of colors' in Palwakkm in their one of the important episodes. Program aired in 2012. View it Here.. In the same program mentioned above Makkal TV Program dedicated full 30minutes also to feature our 'House in 14th Floor'. Program aired in 2012. 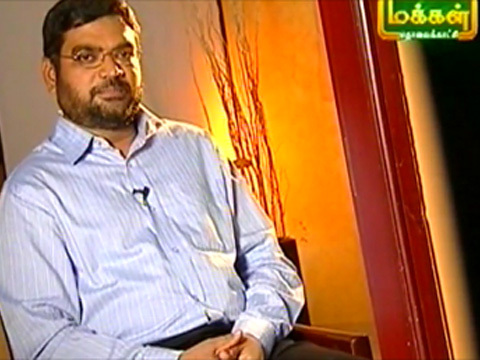 View it Here..
Makkal TV Program dedicated full 30minutes also to feature our 'House in 14th Floor'. 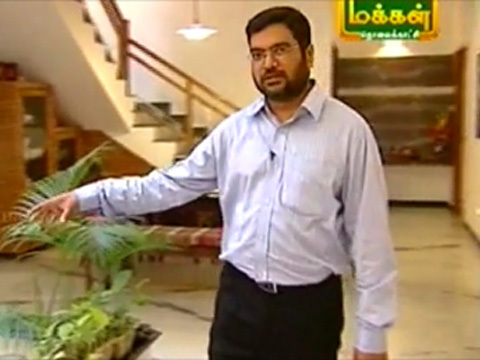 Program aired in 2012. 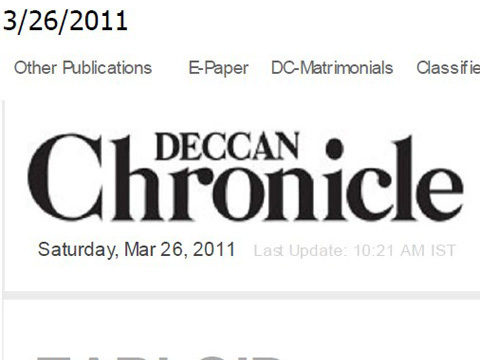 Deccan Chronicle Interviews our Chief architect Mr.Dameem Ansari, for their feature on 'Scribble away' Published: Saturday, Mar 26, 2011 Read it Here..
'Digital Financial Chronicles' Interviews our Chief architect Mr.Dameem Ansari, for their short feature 'Flight of steps with twists & turns' Published: Jan 05, 2011 Read it Here..
'Digital Financial Chronicles' Interviews our Chief architect Mr.Dameem Ansari, for their short feature 'Give your home that much-needed lift' Published: Jun 01, 2011 Read it Here..
Ms.Sangeetha of 'Digital Financial Chronicles' Interviews our Chief architect Mr.Dameem Ansari, for their short feature 'Going modular' Published: Jan26, 2011 Read it Here..
Ms.Sangeetha of 'Digital Financial Chronicles' Interviews our Chief architect Mr.Dameem Ansari, for their short feature 'Keeping date with time & decor' Published: Feb 23 2011 Read it Here..
Mr.Dameem Ansari, Chief architect, Ansari Architects, talks about 'Kitchen islands for modern homes' in this short but informative interview Published: Dec 02 2010 Read it Here..
'Digital Financial Chronicles' Interviews our Chief architect Mr.Dameem Ansari, for their short feature 'Library at home for the avid reader 'Published: Sep 08 2010 Read it Here..
Mr.Dameem Ansari, Chief architect, Ansari Architects, talks about 'Offices open up for transparency' for the short feature in 'MyDigitallife.com' Published: Aug 29 2012. 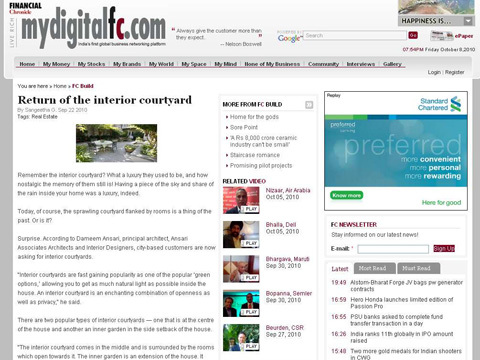 Read it Here..
Mr. Ansari, Chief architect, Ansari Architects, talks about 'Return of the interior courtyard' Published: Sep 22 2010. Read it Here..
'Digital Financial Chronicles' Interviews our Chief architect Mr.Dameem Ansari, for their short feature 'Stacking in style' Published: Feb 09 2011. Read it Here..
Mr.Dameem Ansari, Chief architect, Ansari Architects, talks about 'Terrace nirvana' for the short feature in 'MyDigitallife.com' Published: Mar 09 2011. Read it Here..
'Digital Financial Chronicles' Interviews our Chief architect Mr.Dameem Ansari, for their short feature 'Wood-finish to your walls' Published: Mar 30 2011. Read it Here.. Leisure Writing By Sangeetha G. 'Create your own niche' Published in 'Digital Financial Chronicles' - Nov 17 2010 Read it Here..